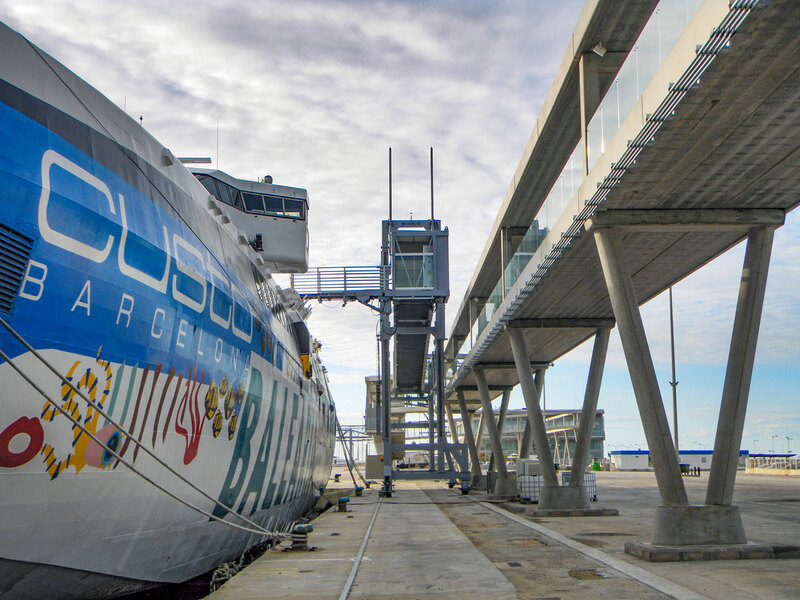 The PEGASUS Passenger Boarding Bridge, designed, manufactured and installed by ADELTE at the port of Denia in 2014 and contracted by Balearia, provides passengers travelling from or to the Balearic Islands of Ibiza, Mallorca and Formentera a very pleasant boarding experience. 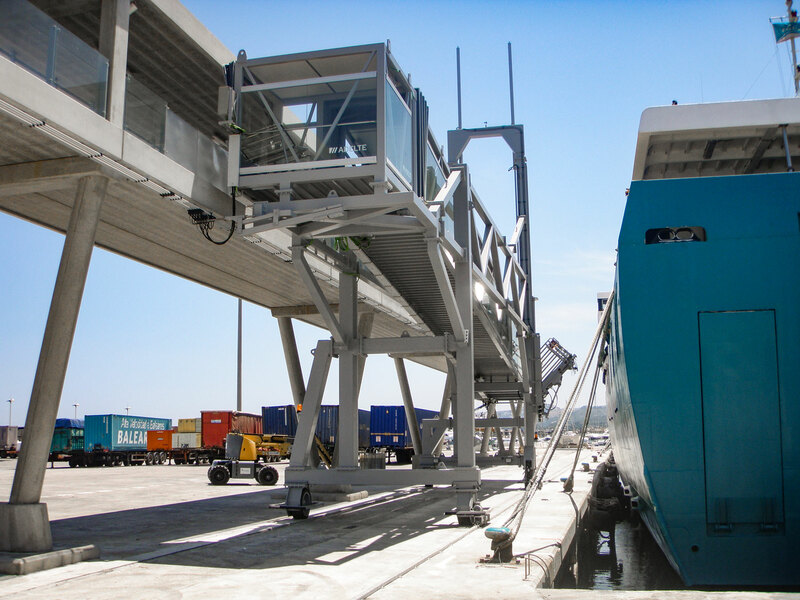 As a result of this successful project, Balearia awarded ADELTE a contract to supply a second boarding bridge. 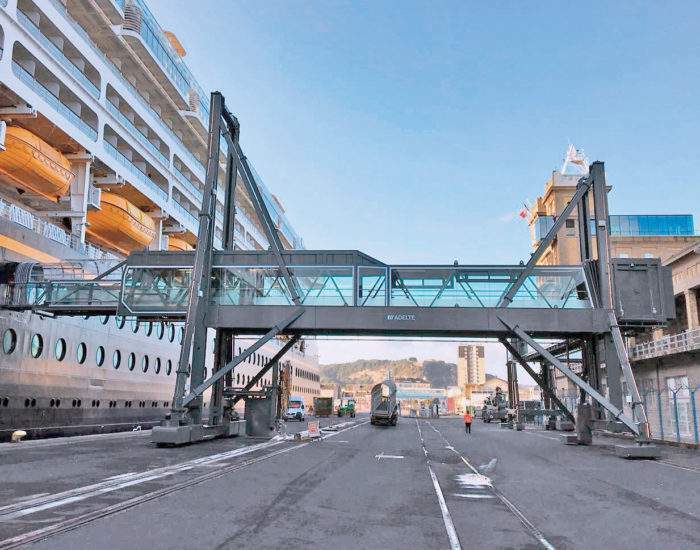 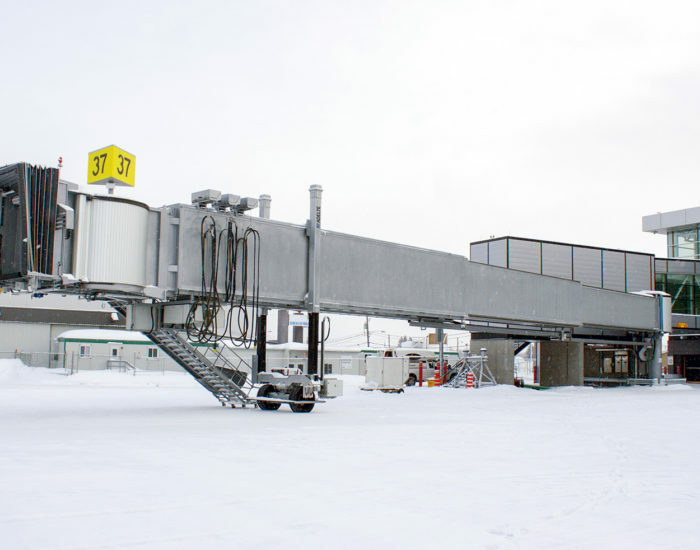 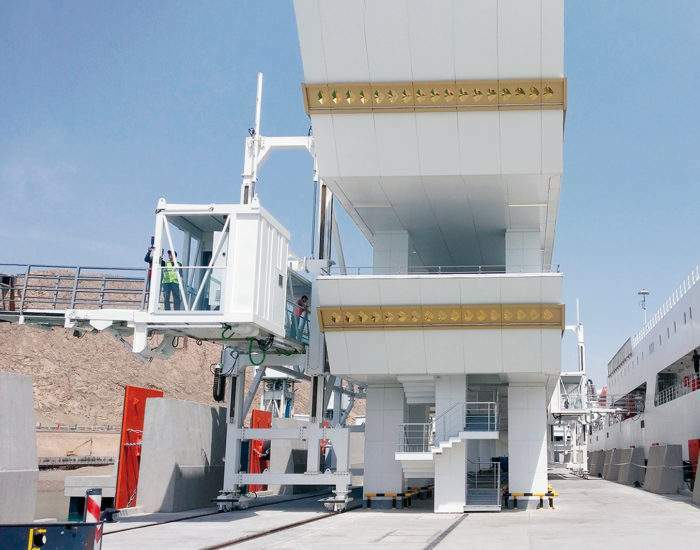 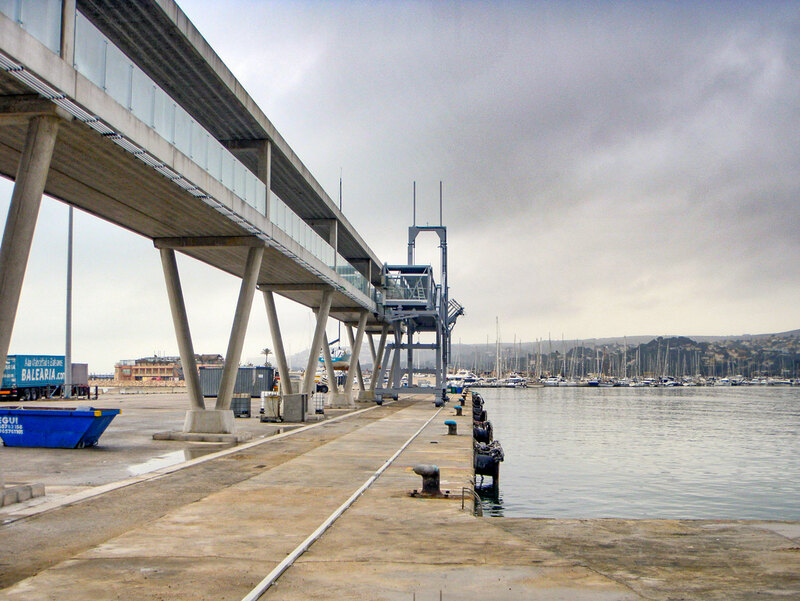 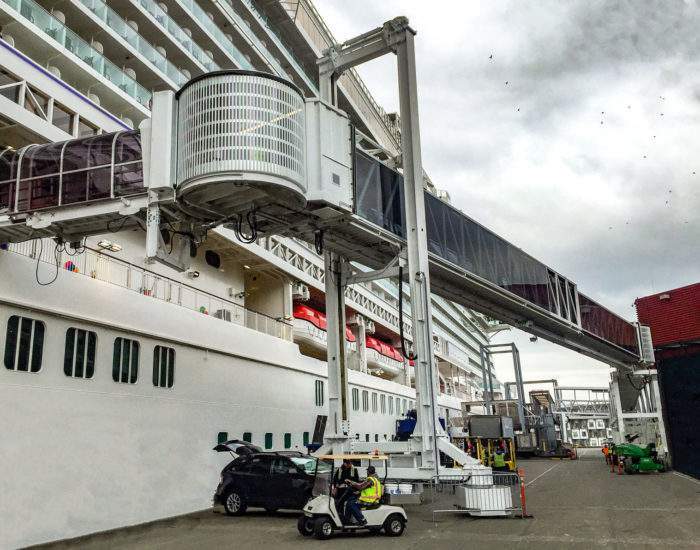 The new system is connected to the same fixed elevated walkway but is a HYDRA model with a three-section telescopic cabin ramp in order to adapt to the narrow quay of the second docking position.